Starting your foot trip from JR Ogaki station allows you to have a healthy walk, while relishing the city's tradition and water that runs along the town. You will also have a chance to get to know about the Japanese history, and that is why Ogaki is a tourist area that we recommend to many people. A couple of hours will be enough to make a quick tour. You may also spend the whole day in Ogaki by signing up for the "make your own Masu cup (wooden sake cup)" course and looking around the city at your pace. Travelling on foot will allow you to feel the historic and aquatic atmosphere that embraces the city. Fun and healthy; walking around Ogaki is recommendable to people of all ages. Cruising along the Suimon River, which runs through the city, in spring while the Sakura cherry blossoms are in full bloom (late March to early April) is magnificent. 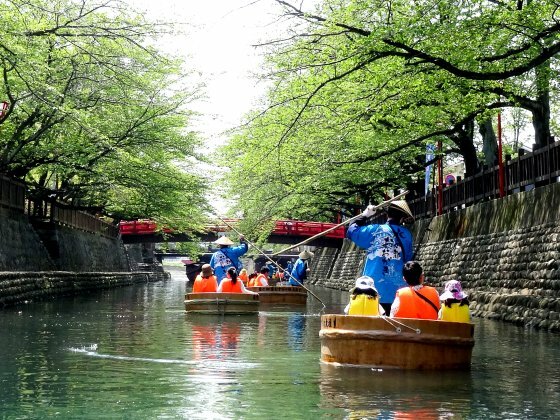 After the Sakura flowers have fallen (mid-April to early May), the Tarai Bune boat is available. Please be noted that services are limited to the spring season. Winding down on the river on a fine spring day would be a perfect relaxing treat. Ogaki, Japan's biggest production area of the Masu cups. Souvenirs and "make your own Masu cup" course available at "Masuya". Feel the rich aroma of the Hinoki cypress wood as you walk along the Suimon River from the Musubi no Chi Memorial Hall. 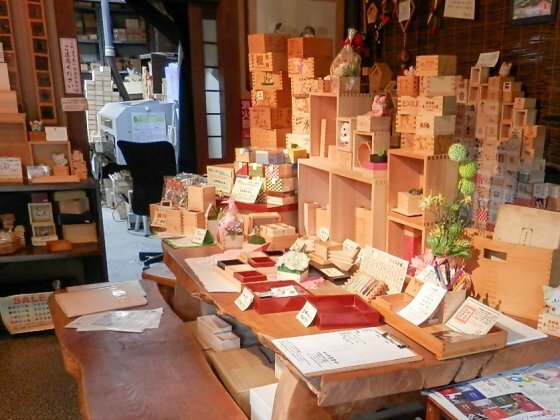 Then appears the "Masuya" store, a Masu cup (wooden sake cup) atelier and souvenir shop. Various Masu cups are displayed inside, from the traditional ones succeeded from generation to generation, up to new products including mobile phone straps and magazine racks using the Masu cup material which match the modern lifestyle. Enjoy your time even just by looking around. "Masuya" also offers a "make your own Masu cup" course. Why not make your original piece? (Course fee: 600 yen. Duration: 45 min. Up to 20 participants at a time). 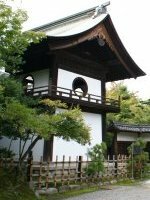 The Ogaki Castle can be found in the Ogaki Park, which is a 7 minute walk from the JR Ogaki station. 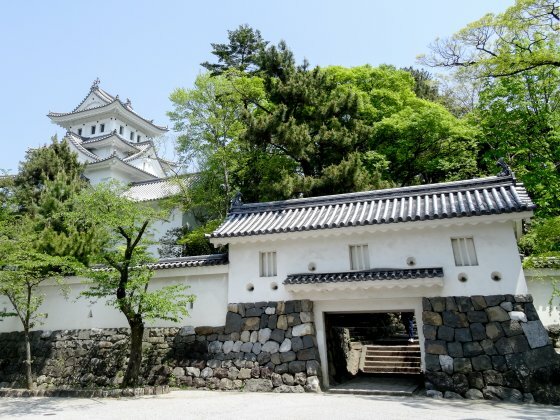 The castle was made as the main base of Ishida Mitsunari, commander of the Western Army during the Battle of Sekigahara. After the Edo period, the Toda clan maintained the Ogaki Domain in peace for 235 years. The Suimon River runs through the old outer moat of the castle, which proves how rich in water the city is. The castle was once designated as a national treasure. Unfortunately it was burnt during the World War II. In 1959, the castle tower was restored and renovated. Today, the castle together with the Ogaki Park has become a relaxing area for citizens. 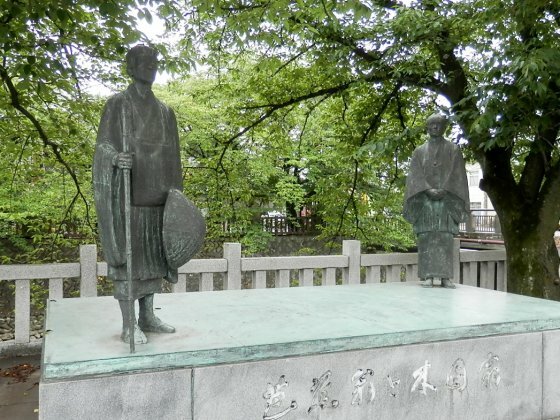 Matsuo Basho's life work "Oku no Hosomichi" was compiled based on a foot trip which started from Edo, around the Tohoku and Hokuriku regions for five months, and ended here in Ogaki as the final destination. His trip was concluded in 1689 (Genroku 2), when Matsuo was 46 years old. The "Oku no Hosomichi Musubi no Chi Memorial Hall" is located in a quiet place along the Suimon river, not so far from the Ogaki Castle. Take a round inside the hall to see the displays on Matsuo Basho and 3D movies showing his trip route. There are five different beautiful 3D movies that are shown by turns. The landscape that spreads before the hall building, Ogaki Funamachi Kawaminato (river lighthouse) is selected as one of the country's places of scenic beauty of "Oku no Hosomichi Fukeichi". During the blooming of the Sakura cherry blossoms, there are sightseeing boats that come and go from the Kawaminato, which attract a lot of tourists. The reason why Ogaki is known as a "city of water" is that the area is one of the country’s main flowing well area. With a blessing of abundant groundwater, there are various flowing wells which offer high quality water. 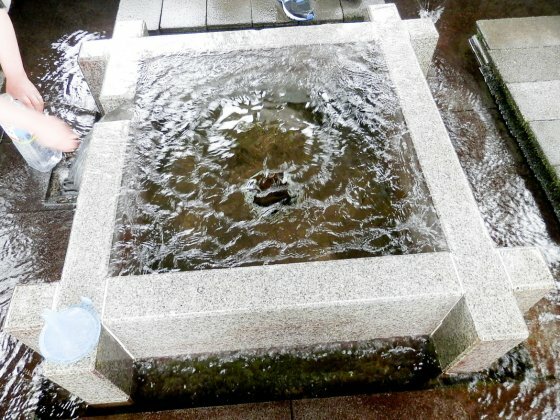 Among many wells, we would like to introduce the "Ogaki no Wakimizu" located in the Hachiman Shrine close to the station. It is a new flowing well which was constructed in 2004. Water from 125m below ground flows out continuously. Many visitors collect the flowing water into plastic bottles and take it home. The extract water is mild and relishing, however please take personal responsibility for any health matters when drinking as it is without boiling. 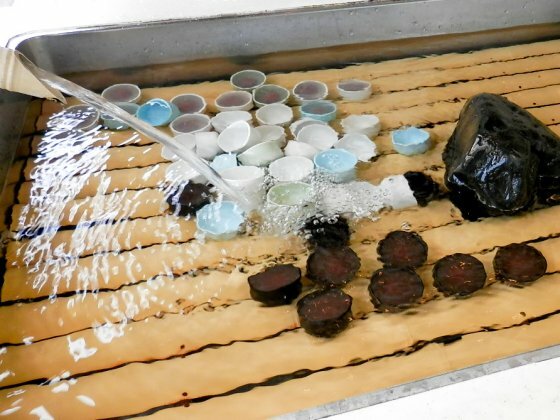 Manufacture of sweets and brewing of sake using the fresh water is popular in Ogaki. Our recommended souvenir from the city is the Kinchoen's "Mizu Manjyu". 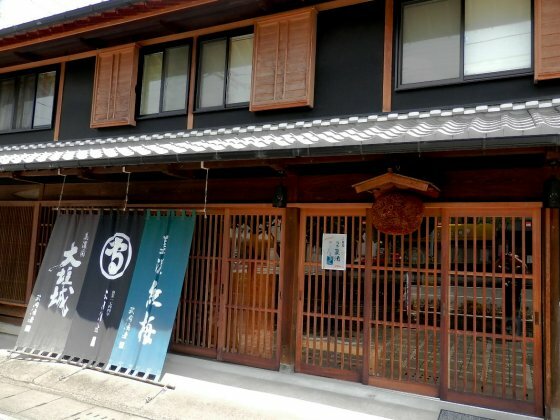 This traditional store which started its business in 1798 (Kansei 10) is one of Gifu's leading confectionery store. You can find their finest Japanese sweets using Ogaki's fresh water. The refined taste of bean paste and the smooth dough give a perfect taste. Take note that there is a branch just in front of the Ogaki Station. Get your last-minute souvenir here. Sake brewing which makes the most of the local pure water is popular in Ogaki. A five minute walk from Ogaki station will take you to Takeuchi Shuzo (sake brewery) which started its business in 1744. Tasty sake brewed by local artisans using Ogaki's water is available.